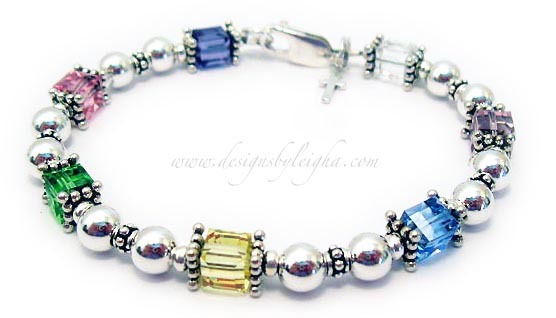 This Easter Basket Bracelet comes with the sterling silver Tiny Cross shown. 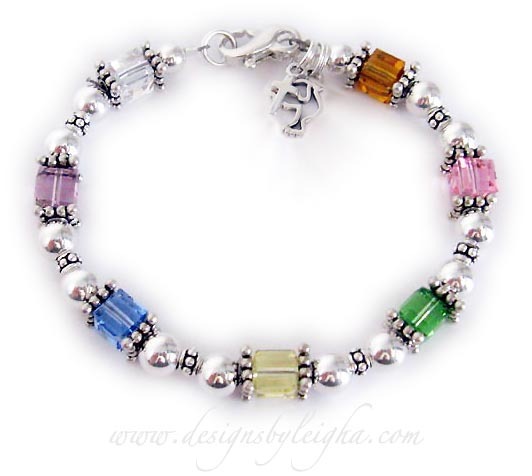 This sterling silver Easter Bracelet is made with 6mm square or cube pastel colored Swarovski crystals and 6mm sterling silver beads. There are sterling silver Bali style beads throughout the bracelet, before and after the crystals and a sterling silver lobster clasp (you choose toggle or lobster during the ordering process). The Tiny Cross charm comes standard with each bracelet. 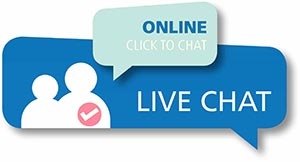 You may add as many charms as you would like - see picture below. We have MOM charms, GRANDMA charms, GODMOTHER charms and so many more!